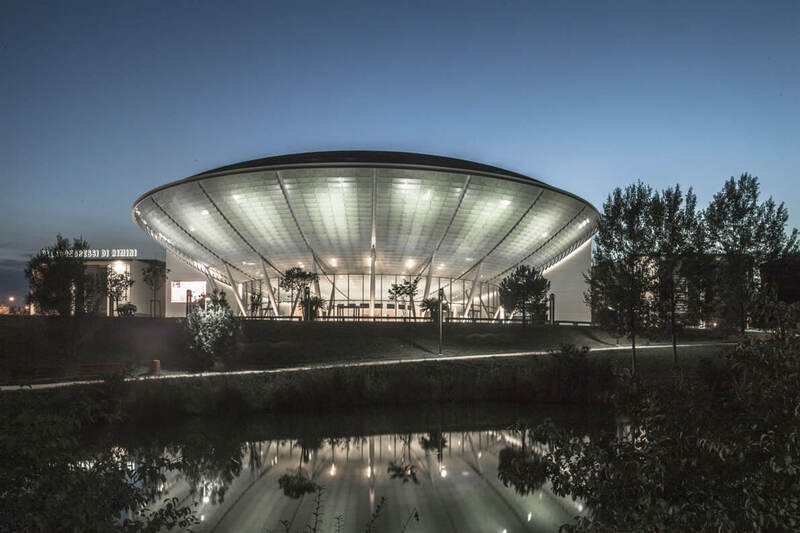 Rimini's Palacongressi, the largest congress centre in Italy and one of the most important complexes of its kind in Europe, was totally built using green design techniques and innovative criteria that contributed to make it highly versatile. Designed by the architect Volkwin Marg from Studio GMP, Hamburg, Rimini's Palacongressi is idyllically set just in the heart of the city centre, and it is connected with both the sea and the old town through the so-called “raggio verde” (green ring), an integrated system of parks, pedestrian lanes and cycle paths. It boasts 39 modular rooms, a total surface area of 38.000 m² and a gross exhibition area of 11.000 m². It can accommodate up to 9.000 people, while the inner restaurants gather 3.500 seats and 5.000 standing rooms. Natural light dominates the wide spaces of the Palacongressi, that were largely made from natural materials, such as wood, glass and stone. Prestigious Italian-style furniture make the inner rooms and foyer extremely elegant. 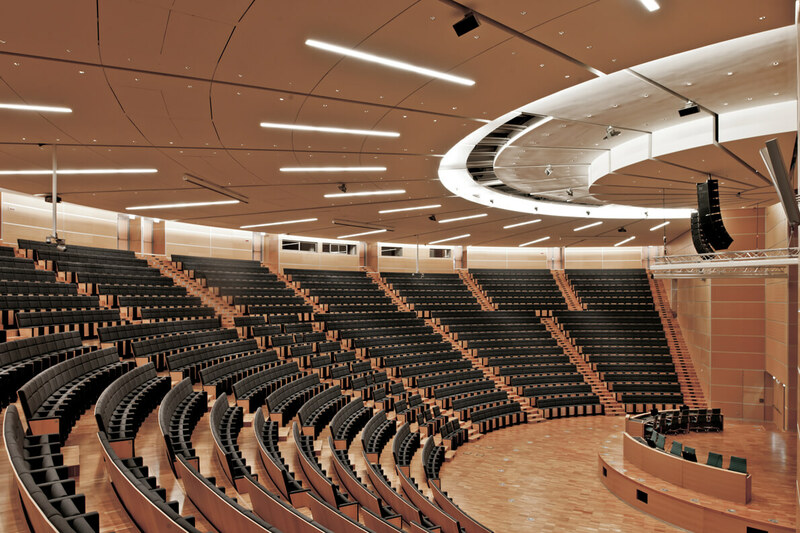 Its energy conservation and environmental protection efforts and state-of-the-art technology make it the ideal location to host different kinds of events, such as medical congresses, corporate conventions, seminars, product launches and business meetings. 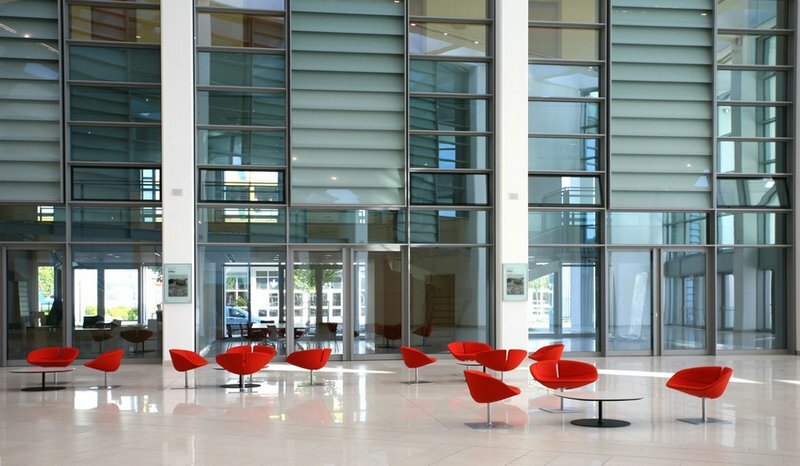 The Convention Bureau of Rimini's Riviera manages all events held at the Palacongressi, and gives business travellers the possibility to take advantage of a wide range of excellent services and facilities, such as customized exhibition spaces, highly qualified personnel and exclusive restaurants.